MILAN -- Fiat Chrysler Automobiles said its first-quarter adjusted earnings rose five per cent to 1.61 billion euros (C$2.51 billion) as the automaker cut debt by $2 billion. Earnings before interest and taxes (EBIT) in the NAFTA market fell two per cent to 1.22 billion euros (C$1.9 billion) even as vehicle shipments increased six per cent to 646,000. FCA said the EBIT decrease was due to the costs of launching new products and negative foreign exchange effects. FCA Canada doesn’t report earnings separate from its parent company. Canadian earnings are rolled into the North American totals. When it came to first-quarter sales, FCA Canada suffered a 4.9 per cent decline. FCA Canada sold 61,306 vehicles in the first quarter in 2018, compared with 64,467 the year before. The automaker has two assembly plants in Canada. Brampton builds the Chrysler 300 and the Dodge Challenger and Charger. The Windsor assembly plant builds the Chrysler Pacifica and the Dodge Grand Caravan. The automaker also operates the Etobicoke casting plant. 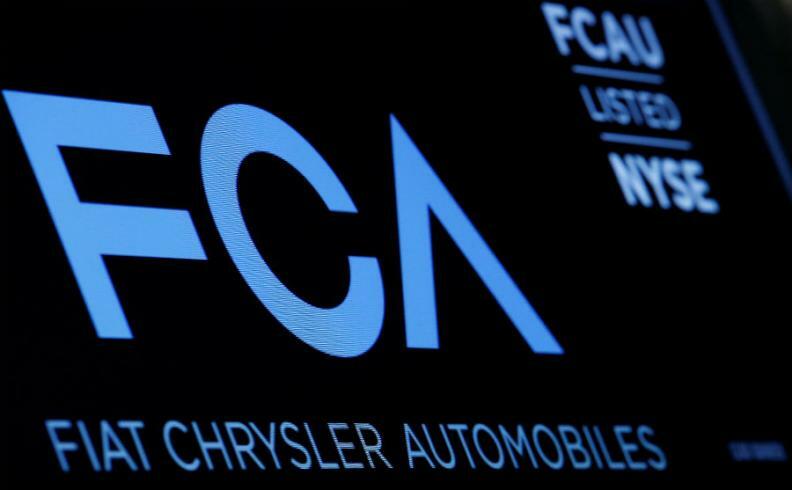 FCA's EBIT in its Europe, Middle East and Africa region rose two per cent to 182 million euros (C$284 million) despite its market share falling 30 basis points to 6.7 per cent. The slight increase in EBIT was due to lower industrial costs and positive foreign exchange effects. The automaker's Latin America operations swung to a 74 million euro (C$115 million) profit as new models such as the Fiat Argo and Cronos helped shipments to jump 31 per cent to 132,000. FCA's Maserati unit posted a 20 per cent fall in EBIT to 86 million euros (C$134 million) as vehicle shipments plunged 21 per cent on lower sales of the Levante SUV. The company's components units -- Magneti Marelli, Comau and Teksid -- posted flat EBIT at 118 million euros (C$184 million). FCA also said net debt fell to 1.3 billion euros (C$2.5 billion) from 2.39 billion euros (C$3.73 billion) by the end of March. This put the group on course to become cash positive by the end of this year. Despite record results, CEO Sergio Marchionne said the company has been struggling this year with a "challenging" launch of the redesigned 2019 Ram 1500 pickup. Marchionne said the pickup, which is being manufactured at a retooled Sterling Heights Assembly plant north of Detroit, is "probably running today at 60 per cent of cycle. That's not where we need to be. We allowed enough time in 2017 to get that installation up, but it's proven to be challenging." Marchionne said the problematic launch has resulted in at least C$386 million in additional costs because of a global response by FCA to try and correct the issues, which he did not identify. "The important thing to remember is that these are temporary costs," Marchionne said. FCA shares rose 2.8 per cent to US$24.16 in premarket trading in New York.